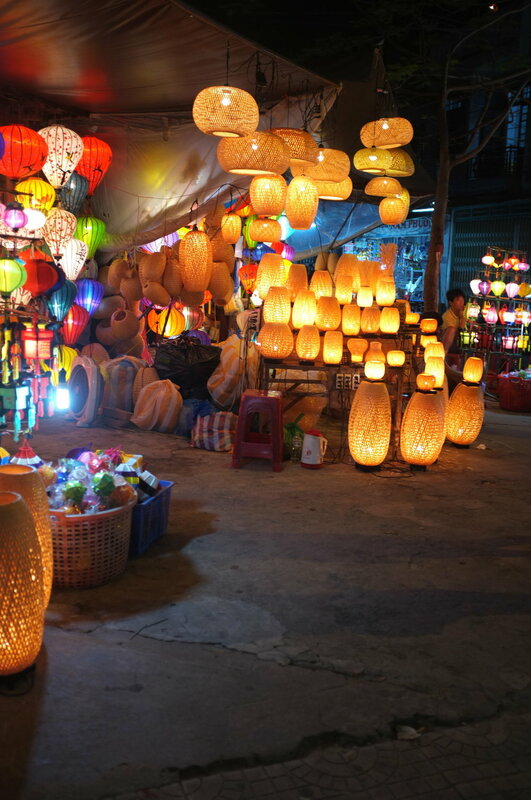 We spent three nights in Hoi An- a beautiful historic city. It is very well preserved with strict regulations, so it doesn’t feel like a city at all. We stayed at Blue Clouds Hostel and I can’t say enough great things about it! 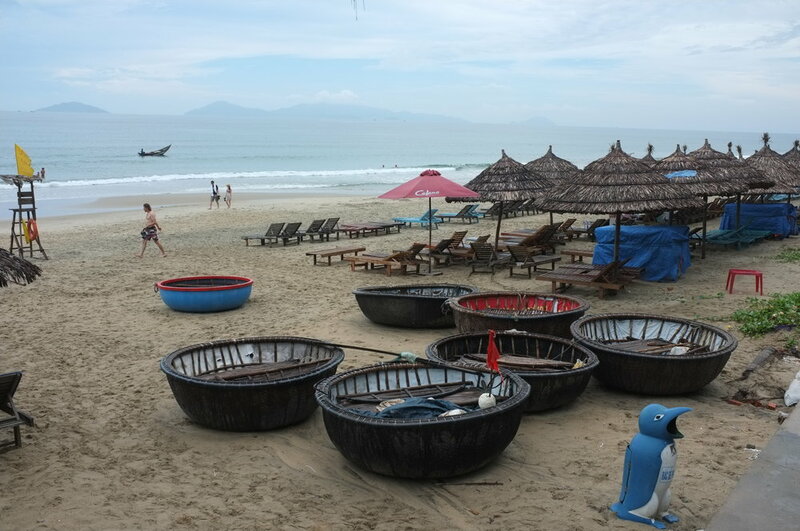 Having come from Hanoi, Hoi An was a much needed break from the hustle and bustle of the city. Blue Clouds is family-run, so the homey feel was exactly what we were looking for. The hostel is a five minute walk from the Old Town. Our first day, we rented bikes and rode around the area. It started down-pouring while we were riding around, so we pulled over to what we thought was a cafe. Turns out it was just some Vietnamese guy’s house, but he let us hang there until the rain stopped. We got to An Bang beach and it was totally empty from the rain. We ate at a restaurant on the beach, so we got padded beach chairs for free. I got burned to the crisp and loved every second. At night we crossed the river to an awesome night market. I bought a few dresses and Marissa bought a handmade backpack (that broke the next day). 1. 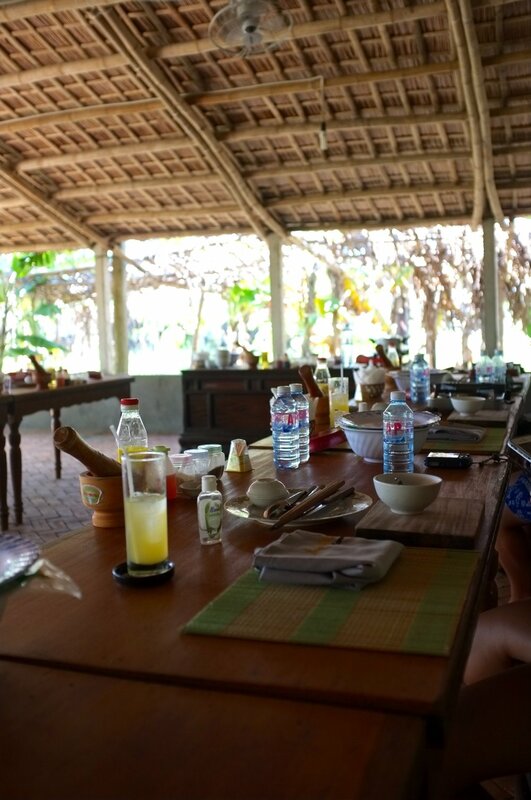 EAT: The food in Hoi An is amazing. The cuisine is different from Vietnamese food in any other city. Morning Glory was the most expensive restaurant we visited, but it was worth it. Try Cao Lau, White Rose, and Quang Noodle. 2. Cooking class: We chose a more expensive cooking tour because of it’s phenomenal reviews and it was amazing. We went to the market early in the morning and picked up all the fresh ingredients we would need for that day. We cooked several courses of the most delicious food! The class was extremely well run and the cooking was surprisingly technical. 3. Motorbike to My Son: Marissa and I had never ridden a motor bike but were dying to do so. The hostel owner taught us how to drive then had his friend take us to My Son, since we weren’t comfortable going alone. 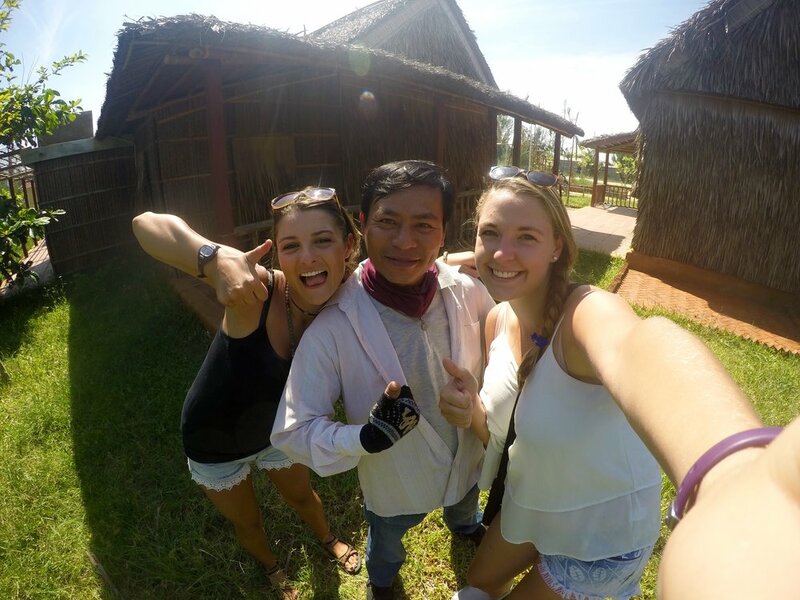 The ancient ruins were 1-2 hours from Hoi An. Driving in Vietnam is crazy, but Hoi An was slightly less risky. Our guide was amazing and stopped at tons of unique spots on the way to the ruins. He even took us to his home, showed us around his farm, introduced us to his family, and met his neighbors who create amazing hand-made brooms. 1. Rats: They are not shy and they are huge. I would say the size of a well-fed guinea pig. We saw one at a restaurant scurrying under tables. When Marissa and I were walking home at night, there were rats darting across the narrow street in front of us every few seconds. It was terrifying. 2. Night life: Maybe it was because we visited during the middle of the week or maybe we weren’t meeting meeting the right people, but Hoi An didn’t have much of a night life. We wanted to go out in the Old Town but it closed at 11pm. We crossed the bridge to the other side of the river where there was lots of clubby bars with no one in them. They play aggressive dance music and then there’s Marissa and I sipping beer below the neon flashing lights.